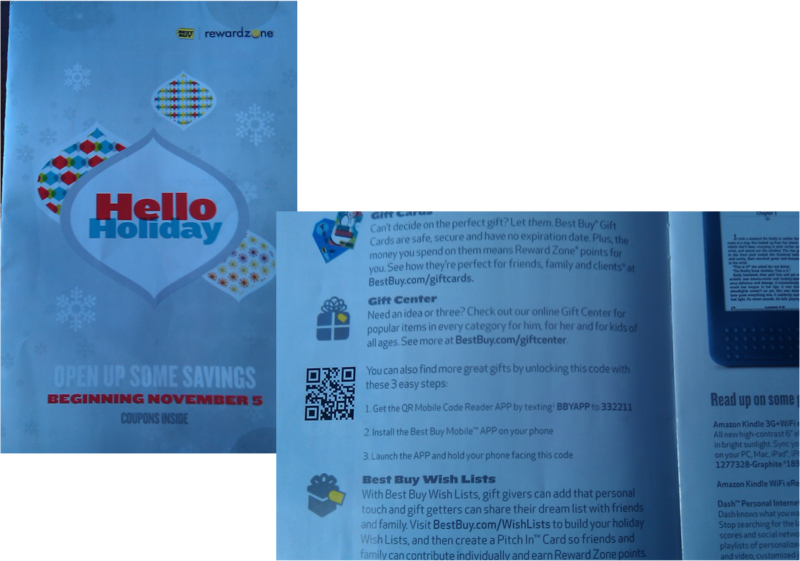 Will the Holidays Save QR Codes? First, SXSW. Then, Facebook. Then, NYC. 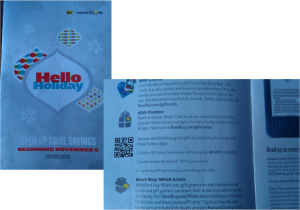 Now, it looks like the holidays are bringing QR codes with them. 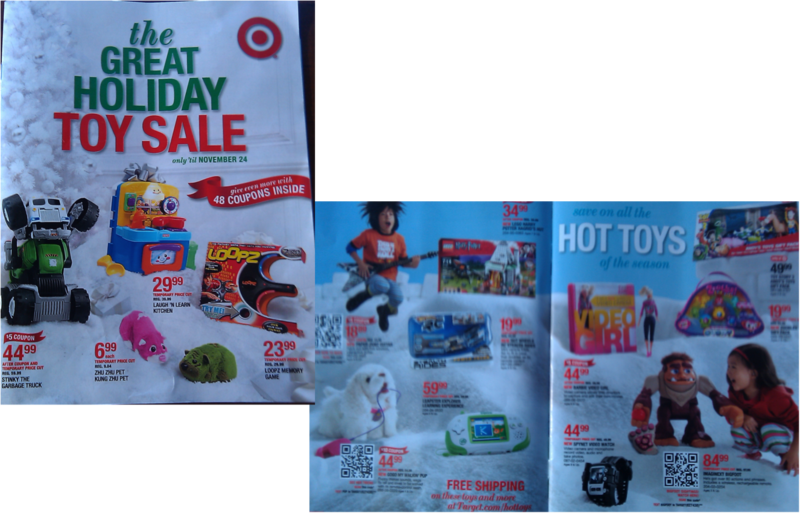 It’s the time of the year when we receive loads of holiday circulars and it all started this past week. I like these magazine-type circulars. I like looking through them to see the sales and this year, at least, I like to see if the brands are making any effort to drive consumers deeper into the brand experience. Well, judging by what I saw this week, they’re jumping all over the opportunity. First, it was Best Buy. I opened it up (I take as many opportunities as I can to remind my wife where she can get me an iPad), and the first thing I see is a big, fat QR code staring me in the face. This really didn’t surprise me because I’ve noticed that Best Buy is now printing QR codes on all of their shelf price labels. Then, it was Target. We’re on the lookout to help Santa, so of course, I had to see what kind of contribution Target could make. And, bam, right there, 3 on 1 page. I started to get real excited at this point, scanning codes, talking to myself, kind of freaking my family out. And then, because I felt like we were on a roll with finding these little treasures, when I got our Geico newsletter/magazine, I just knew they had to be using them in some way. So, I opened it up, and sure enough, QR codes sprinkled throughout. Brands (and the agencies supporting them) know what QR codes are. They’re taking the opportunity to drive consumers into a deeper brand experience. I think these basic fundamental acknowledgements are important because it shows a level of comfort, from a brand’s standpoint, to introduce these codes to consumers, in such a mass-visibility way. I suspect there is a little bit of experimentation going on, but they’re exposing them nonetheless. Next question is whether or not consumers will know what to do with these. I wonder how far off I really am – along with the general consumer – in expecting these codes to be included in print pieces like this? 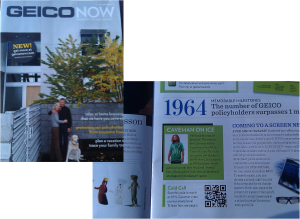 By the time I got to the Geico magazine, I expected them to include QR codes. And they did. So, I believe sooner rather than later, consumers will expect these crazy-looking codes to be in magazines like this and perhaps more print pieces than not. By seeing them in this type of collateral and on windows of their local businesses and at airports, they’re going to know that they can “unlock” some sort of information. It’s really the “payoff” now – the content on the other end – that is going to drive expectations and perceived value. The content is certainly more important than the code, but we have to start with the code and getting consumers familiar with them. Before creating the codes, understand what you are going to offer to the consumer once they scan the code. Is it going to be a mobile version of your site? Is it going to be a video? Is it going to be a text? Is it going to be a VCard? You must answer this question before you get into creating the actual code. Creating the codes is the easy part. We’ve used Kaywa and I’ve seen ScanLife a lot lately. It’s a simple process, just follow the directions with whichever service you’re going to use. Understand where the code is going to be placed, when printed. Is it going to be circular like this? Or is it going to be on a poster? Or is it going to be on a magazine ad? You’ll need to include instructions for consumers to understand what it is and how to actually use it. What kind of piece it’s going to be printed on will dictate the amount of instructional information you can include. At the very least, let consumers know that they can a) scan the code for something else (more content, special offers, etc…) and b) how to do it. This includes telling them what QR code reader application they need on their smartphone and that they need to take a picture of the code. If you have the means to use/implement a text messaging service, it would give the consumer another way to “unlock” the information without scanning a code. Include this option in your instructions. 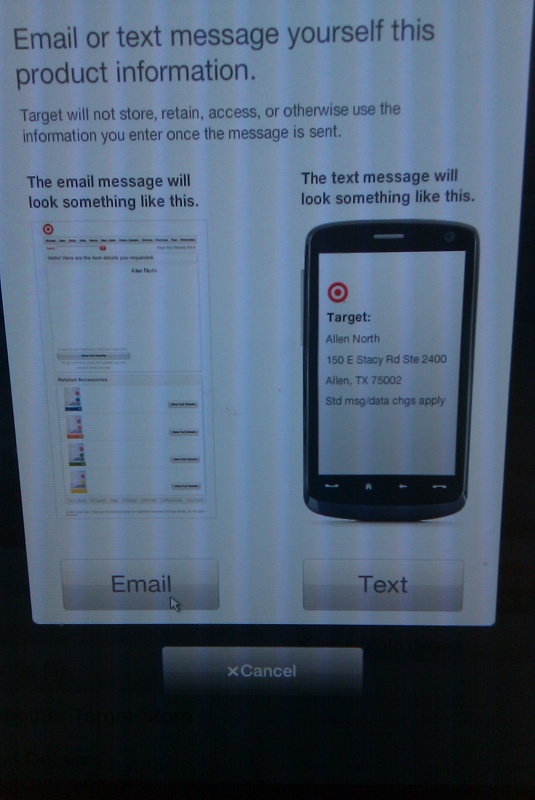 Let consumers know – very clearly – what they can expect by scanning the code. This can be a simple text description next to the code. And finally, if at all possible, make sure the content offered up on the “other side of the code” is appropriate to experience on a mobile phone. If you can help it, don’t send them to the regular .com. Send them to the mobile version of the site or even directly to a Vimeo/YouTube playlist. The more valuable the content on the other side is, the more value consumers will perceive to be behind these codes. QR codes are an ideal technology to enable the offline and the online to converge. They’re so simple to create, if you have the wherewithal to use them and good content to use, there’s no reason why you shouldn’t include the codes on all of your printed pieces. It’s good to see so many brands using them. At the beginning of the year, I don’t feel like anyone really knew what QR codes were, certainly not the average consumer. But if these holiday circulars are any sign of the times, it hasn’t taken long to learn. 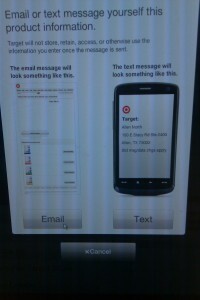 This entry was posted in Emerging Technology, Marketing, Mobile and tagged 11th Screen, Best Buy, Geico, Mobile, offline to online, QR Codes, Target on 11/08/2010 by Mike Cearley.